Aburaya Shiro, a high school kid, lives in a town where there has not been a vampire attack in years, but adults keep warning them of going outside at dusk. Shiro and his classmates take this warning lightly and head out at dusk only to find out one of their classmates who they thought they knew well turnz out to be a Hesperides. 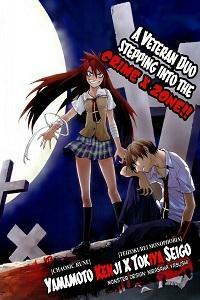 With all his classmates violently murdered, the only way Shiro was able to survive was with the help of a different classmate, Ichijoji Eruka, who does not seem to be human herself.